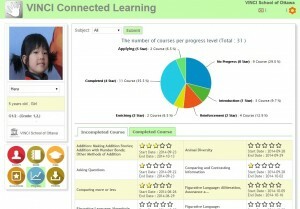 VINCI Schools strive to be technologically advanced schools. Technology tools – learning management, online reading and Math resources, family communication – are utilized to empower students’ achievement. 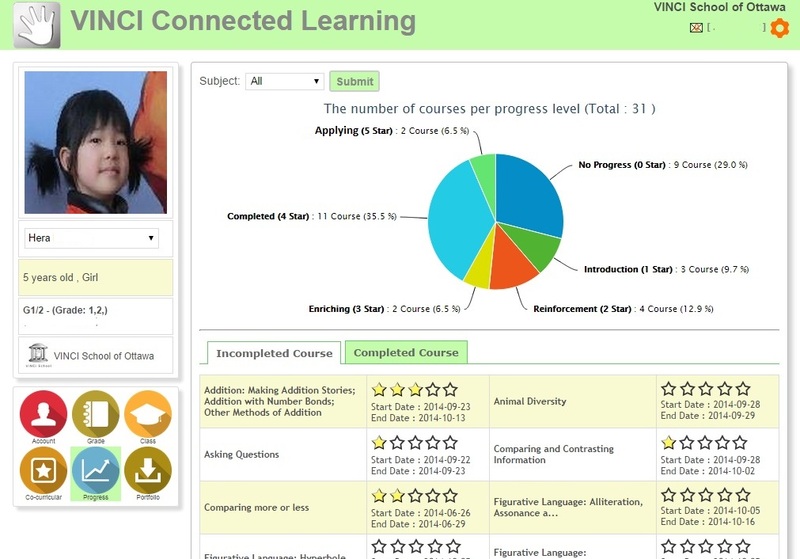 Each week, teachers schedule courses according to VINCI skill-based learning curriculum. Student progress is recorded by the teachers, and observed by the parents EVERY DAY! Our unique 5-star rating system highlights the true reason of education – Applying the knowledge rather than memorizing concepts. 3 Stars: Student is using additional instructional materials to enrich the learning, in order to gain deeper understanding. 4 Stars: Student has mastered the concept. Each day, parents get the diary about how their children spend the time at the school. Information includes Mood, Meal, and Comments by the teachers. Parents gain full visibility, enabling a seamless school-home collaboration. 1) To facilitate the understanding: as young children are visual, game-based learning helps them to “see” the concept, in a context that makes them proactively involved, rather than just listening to what the teacher has to say. 2) To be assessed and evaluated for the progress: through playing games, real-time data is sent to teachers, letting teachers know who has understood what. Teachers can intervene immediately to reinforce, or to adjust their instructions. On daily basis, teachers evaluate each students progress, skill-by-skill. 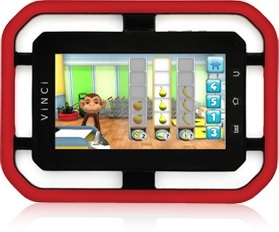 The winner of CODIE Award 2014 by American Software and Information Industry’s Association, VINCI Game-Based Curriculum, serving as the GPS for the instructional efficacy, is incorporated for 30 minutes to an hour each week. Math and reading practices for home are implemented through Stanford EPGY Online Math program, and Raz-Kid leveled reading, in addition to regular paper-based homework such as spelling.